Last night, famous #GamerGate supporters Milo Yiannopoulos and Christina Hoff Sommers came together to organize a GamerGate meetup in Washington D.C. This casual event was designed for GamerGaters to come have a drink and meet other like-minded gamers. However, this was unacceptable in the eyes of anti-GamerGate, who could not tolerate the possibility of GamerGaters meeting up to plot their next harassment campaign against female game developers. 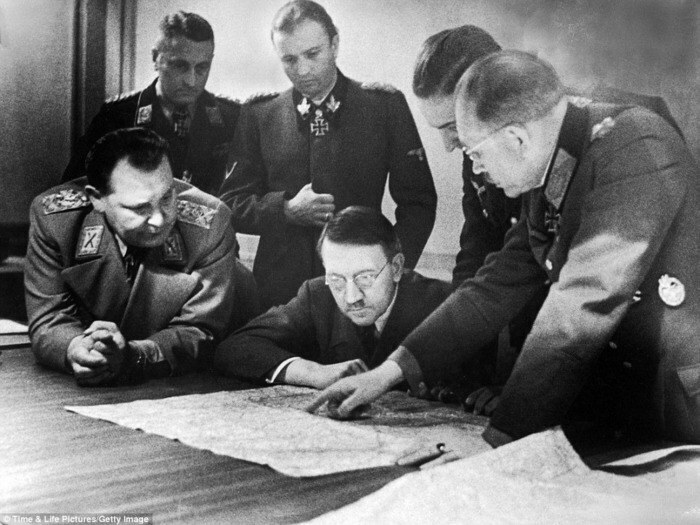 In the eyes of the aGGros, all GG meetings must be stopped at all cost, because GamerGate is the Internet equivalent of ISIS, the KKK and Nazi Germany combined. This is what Arthur Chu actually believes #GGinDC is. Christina Hoff Sommers (aka Based Mom) was the first to break the news on Arthur Chu’s latest episode of insanity. Oh dear. 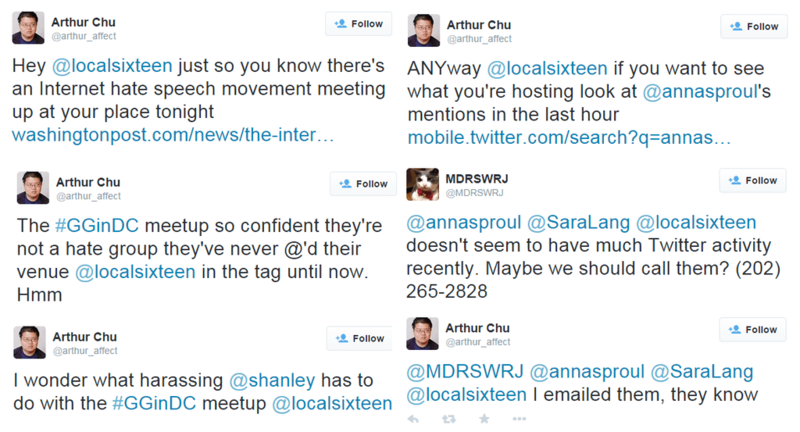 @arthur_affect is trying to stop our #GamerGate meet-up. He has been sending odd and hysterical messages to the manager. Arthur Chu wrote to the pub.Said I was part of anti-feminist hate group.Urged bar not to host the http://t.co/QP2wbk1aE4 welcomes all. A cursory glance at aGGro Tweets backs up Sommers’ claims. Arthur Chu is indeed the mastermind behind the operation. He’s going all out to stop GamerGaters from talking to each other in a bar. It’s one thing to post a Tweet disapproving of the meetup; it’s another matter entirely to send hateful, lie-filled messages to the venue hosting the event in an attempt to stop it from happening. If this is not harassment, then the word has absolutely no meaning. It’s ironic that aGGros call GamerGate a hateful movement while engaging in the same behavior that they claim GamerGate fosters. In reality, anti-GamerGate has become the monster that they claim to hunt. aGGros operate on radical Manichean thinking, in which they view themselves as immaculate angels and their enemies as irredeemable demons. They censor all discussion and refuse to engage in an open debate, as if their opponents are terrorists. They routinely ignore facts and repeatedly use arguments that have been debunked again and again. They unleash vicious personal attacks on anyone who disagrees with them. Everything that goes against their beliefs is false and their words are law. Ironically, aGGros act as if they are underdogs fighting an uphill battle when they have all the power in the world. 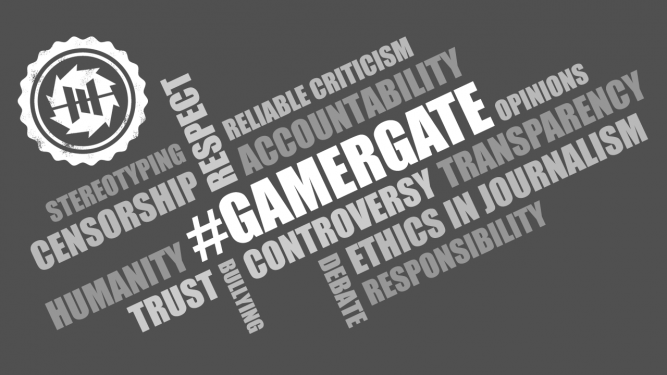 Their messages of hate and their false portrayal of GamerGate is supported 100 percent by the mainstream media. Furthermore, aGGros have big allies in their support from SJWs and third-wave feminists. Together, their allies have infiltrated every aspect of mainstream culture from journalism, education, government to the entertainment industry. 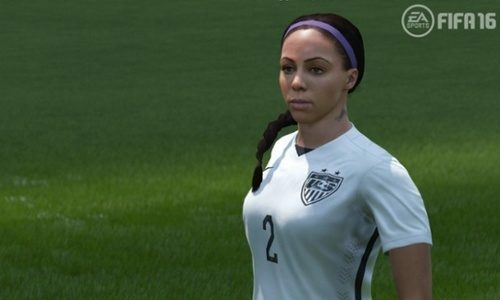 Zoe Quinn and Brianna Wu’s games have won multiple awards simply for promoting SJW ideas. Arthur Chu and the aGGros’ sabotage of the GamerGate meetup show the world once again which side is the real hate movement. Though the world is currently too distracted to be paying attention, history will correctly judge Chu’s actions as wrong and hateful. History will see what GamerGate really is. Think about it: when was the last time a GamerGate supporter found responsible for a hateful crime? In any incident involving GamerGate, it’s always the other side who fires the first shot. Whether it’s at conventions or at public events, aGGros always go crying to teacher, demanding they censor or kick out GamerGate supporters because “it’s a hate movement.” aGGros abuse the fact that event staff don’t want trouble. When it’s 50 against three, they are going to kick out the three. But what happens if that plan doesn’t work out? What will Arthur Chu do? 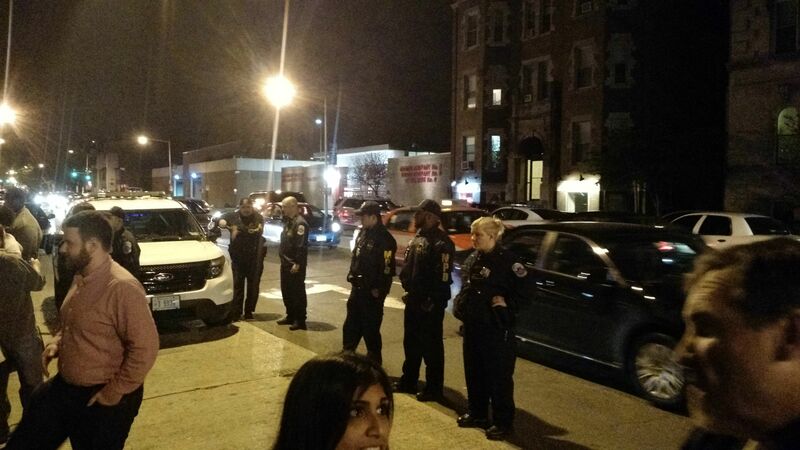 A bomb threat was called in and led to the temporary evacuation of the venue. 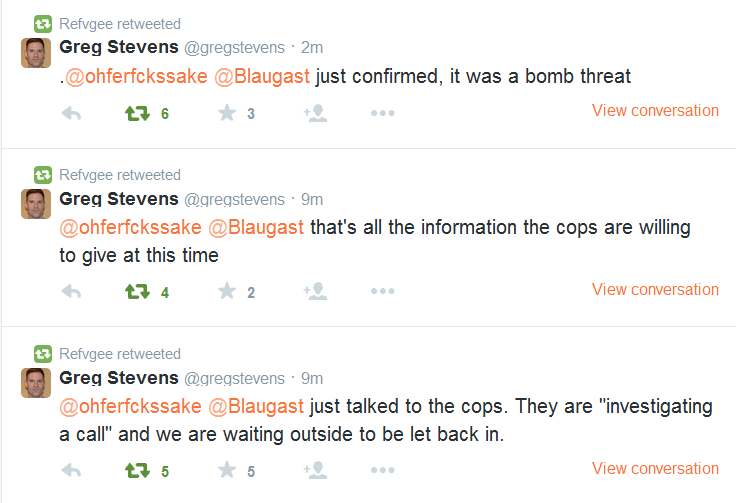 It is not yet clear if Arthur Chu called in the bomb threat himself or if it was one of his followers.